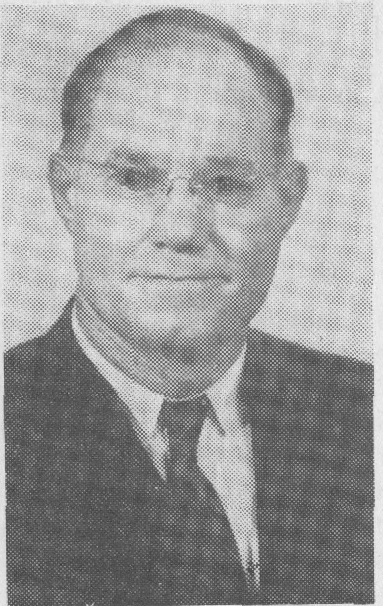 James R. Stewart of Temple, Texas, was born at Mason, Texas, March 12, 1898. He was reared by Christian parents, his father, J. Howard Stewart, being a loyal, faithful, gospel preacher, a music writer and teacher of much ability. James R. obeyed the gospel in 1911, at the age of thirteen, under the preaching of C. H. Kennedy. That same year Bro. Stewart succeeded in causing some others to obey the gospel, which work has been his lifelong aim. At the age of eighteen Bro. Stewart was married to Mary Darden, of Clyde. Texas, who was a faithful Christian. To them have been born three children—all of whom are faithful members of the Church of Christ. Brother Stewart entered the evangelistic field in 1920, and has continued in the work since, contending for the word of God as it is written. Because of his strict adherence to the word, many of his worldly-minded brethren have turned him down, but this has never caused him to falter. Faith and courage have kept him going. He has preached almost from coast to coast, and has baptized many hundreds of people, and has established many congregations. Very few preachers have held more mission meetings than he. Very few have made a greater sacrifice to preach than he. He has held little meetings and big meetings. In one meeting sixty souls were added to the congregation. In his humble and godly efforts, he has baptized some who are now preaching the gospel, among whom are Clovis T. Cook, Ralph E. Mustard, Cyrus Holt, possibly others. Recently Brother Stewart’s granddaughter, Wanda Oakley, found a record of Brother Stewart’s preaching appointments. He kept a notation of how many were baptized and how many made confessions of fault. Those who knew Brother Stewart would probably find this interesting and I post it on this website for posterity’s sake.